Now there’s a new capital of culinary greatness in Europe….can you believe it’s Berlin Germany? 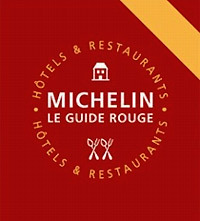 The new Michelin Guide gives high scores to Berlin restaurants / 26 stars total awarded to 20 eateries / Five new additions to German capital’s star gastronomy. Berlin remains Germany’s capital of haute cuisine. 20 top Berlin restaurants earned a record number of 26 Michelin stars; six more than in the previous year. This was announced yesterday in Berlin at the release of Michelin’s new 2016 guide for Germany. Chef Sebastian Frank of restaurant Horváth in Kreuzberg district earned his second star, while five restaurants could retain their two stars: Facil, Fischers Fritz, Lorenz Adlon Esszimmer, Reinstoff and Tim Raue. Five Berlin restaurants were awarded their first star, including the recently opened Nobelhart & Schmutzig in Kreuzberg, where 28-year old chef Micha Schäfer exclusively works with local produce. Another Kreuzberg restaurant, Richard, as well asSemmler and Bieberbau, both in Wilmersdorf district, and Bandol sur Mer in Berlin-Mitte received their first star. A total of 14 top restaurants received one star. In recent years, Berlin has earned a high reputation as a top culinary destination. In addition to the 26 Michelin stars, Berlin has captured the epicurean zeitgeist by earning top marks as Europe’s vegan capital, boasting 36 purely vegan restaurants. From street food to burger mania, traditional cooking to new trends, Berlin’s young and creative culinary scene is a foodie paradise. Information of travel to Berlin at www.visitBerlin.com.